Transitions (or photochromic) lenses are one of the coolest inventions in lenses since they were invented in the 1960s. We have all seen the commercial of the attractive executive who walks into the sun and doesn't have sunglasses (oh no!) until his glasses change and his eyes are now protected (phew) . But there is one place they don't perform to their potential, and that is in you car. In this article, we're going to explain to you why and when it might be necessary to just buy a stylish pair of shades for driving. Basically, regular sunglasses filter a certain type of UV light (UVA and UVB) and not others. Mostly, they just filter the ones from the sun. Polarized lenses filter the ones from the sun, and everything else (glare from other cars, glare from water, etc.) so they're good to have around at times. So, basically, this has nothing to do with why your Transitionswon't work with your windshield. Where polarized lenses fail, is when it comes to LCD screens like your phone or your on-board navigation when you're driving. This is what causes those pretty rainbows everywhere when you're sporting your polarized lenses. 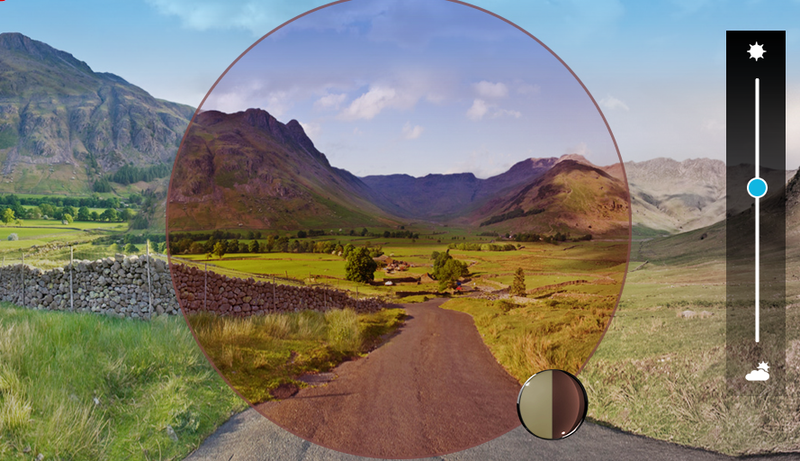 Transition lenses work by darkening when they are exposed to any kind of UV radiation. Transitionslenses are called photochromic lenses and they block 100% of all UVA and UVB rays just like sunglasses, which is the point, right? However, this also means that they will react to your office lights that let off some low-powered rays, so that means you'll get a of tint for the office, which may not go away. This is important because your windshield works the exact same way. I'm sure you see where I'm going with this. Transitions + Windshield = "Hint of Tint"
So, we have Transitionslenses that block all kinds of UV rays, and we have your windshield that does the exact same thing. This means that there's nothing to react with the Transitions lenses to make them want to turn darker, and they aren't polarized, so they're not reacting to the glare of cars, water, and snow around you. This is why you end up with slightly tinted lenses in your car, and why they aren't picking up on the glare of the cars around you, or those really bright headlights late at night. If you don't spend much time in the car, Transitions may be your best option, especially since the folks at Transitions are coming out with newer and better generations each year to get rid of the hint of tint and to make them polarized. While Transitions is on the project, it might be safer to buy a pair of prescriptions sunglasses for the car in the interim, especially if you spend a majority of your day commuting. 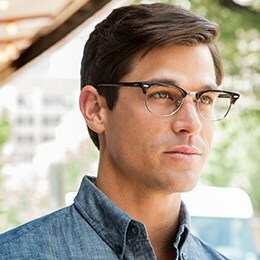 We offer Transitions lenses AND Prescription Sunglasses at amazing, FramesDirect.com prices.